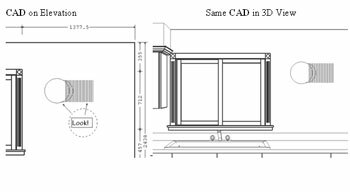 Have you sometimes wondered why some CAD drawing features are disabled when you are viewing an elevation? This Tech-Tip explains what to do. 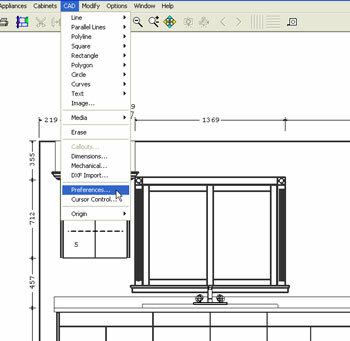 1) Scenario:You need to use a CAD drawing feature on the elevation but some choices are unavailable. 3) In the Preferences dialog, uncheck 3D Enabled. 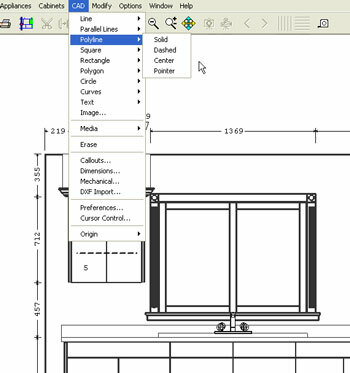 4) Check the CAD menu again and you’ll see the choices are enabled. 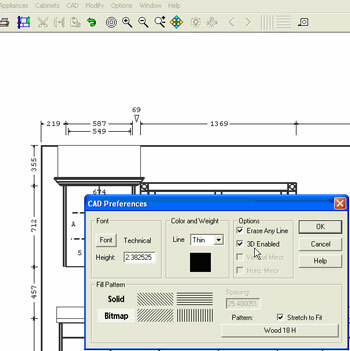 The reason some CAD choices are disabled is because of the unlikely need for Pointers, Center lines and Dashed lines to display in a 3D Drawing. 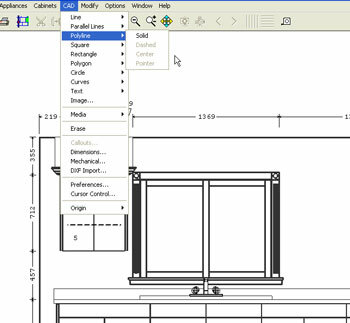 These features are normally used for shop drawings and not presentations. See the simple added CAD below. Some added with 3D Enabled ON and some with 3D Enabled OFF.